Christopher Martin attended Longfellow Elementary School in Long Beach, moved with his family to Seal Beach and graduated from Huntington Beach High School in 1980. At the age of 17 he enlisted in the United States Army. Even though there was no war going on at that time, hostages were being held in Iran. He joined the U.S. Army Special Forces, completed Basic Combat Training, Basic Combat Medic Training, Airborne Training, and the Special Forces Qualification Course. After earning the Green Beret he was assigned to 10th. Special Forces Group at Fort Devins, Massachusetts as a Special Forces Medic. He participated in Special Operations in Beirut, Lebanon in 1983. 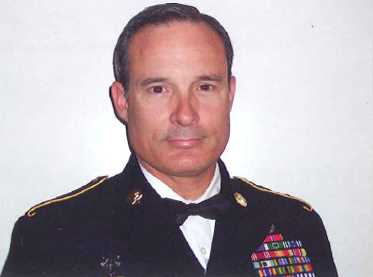 After returning from Lebanon he attended Cal State Long Beach, Long Beach City College and USC, while a member of 12th Special Force Group out of Los Alamitos where he earned the rank of Sergeant First Class and was Senior Operations Sergeant. Martin left the reserves in 1992. In 1996 he returned to military service as a member of the 19th. Special Forces Group. On 9-11, still assigned to the 19th. Special Forces Group, he was told he was going to Afghanistan. In September 2002, Martin completed his National Registry Paramedic Certification; in October he was in Afghanistan supporting Operation Enduring Freedom. On December 17, 2002, Martin and his partner were attacked and received multiple injuries. Both spent two months in Walter Reed Army Medical Center. For his military service Martin received the Bronze Star and Purple Heart. He also has received two Army Commendation Medals, Six Army Achievement Medals and the joint Armed Forces Service Ribbon among numerous others. After 22 years of military service he is retired from the United States Army. Martin is married and the father of one son, and one daughter. He is a member of the Long Beach Police Department and gas worked in patrol, Community Policing, Counter-Terrorism and SWAT. He is currently assigned to East Division Patrol.